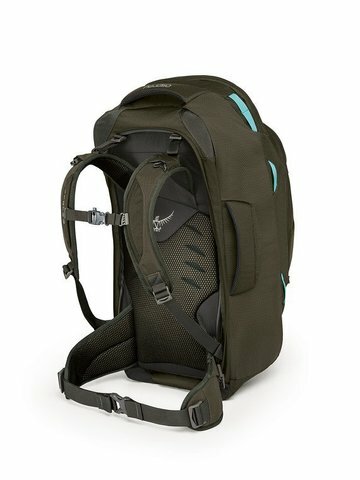 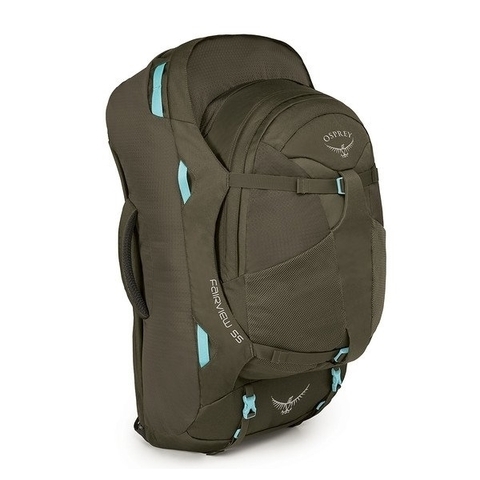 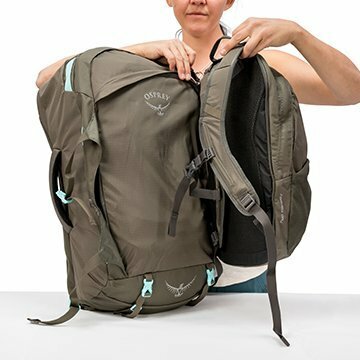 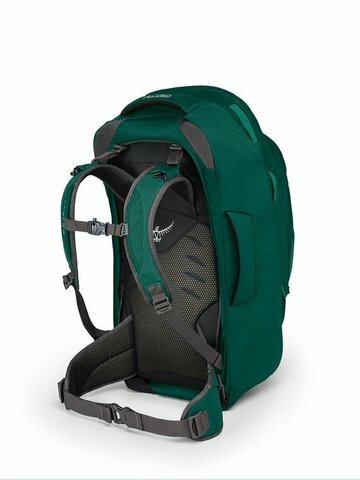 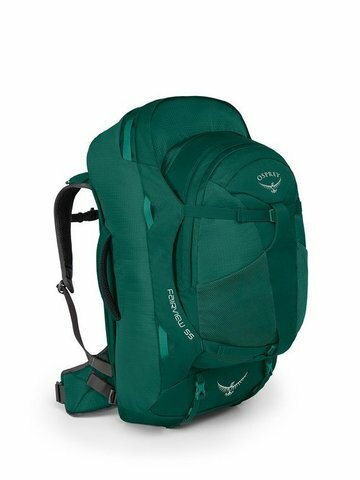 Lightweight and streamlined, the Osprey Fairview Series is an ideal travel pack for fast-moving globetrotters. 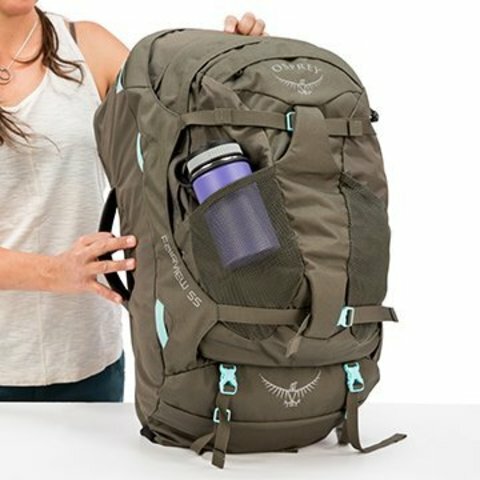 Despite their minimalist weights, these women's specific, full-featured packs offer plenty of organization and travel-focused features. The zip-off daypack provides additional storage and is perfect for carrying around town by itself. 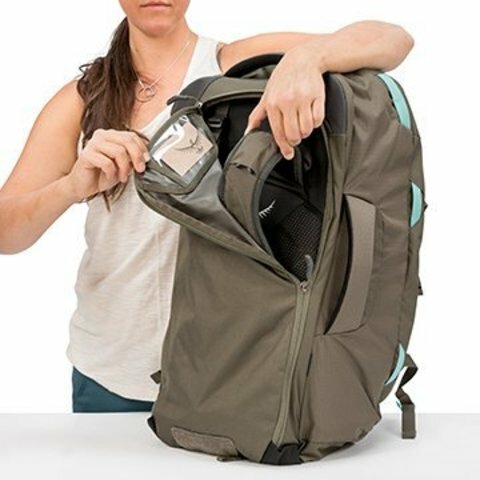 The stowaway harness and hipbelt disappears for safe keeping when you check your bag, and durable fabrics offer added protection. 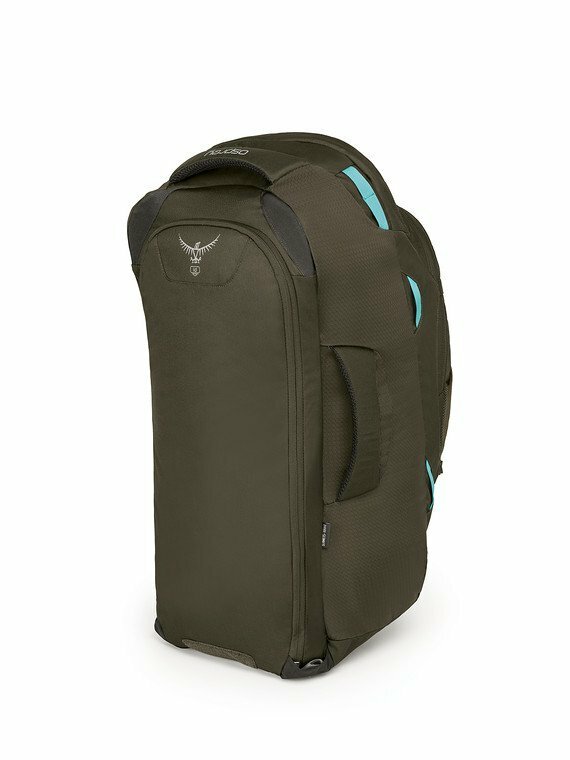 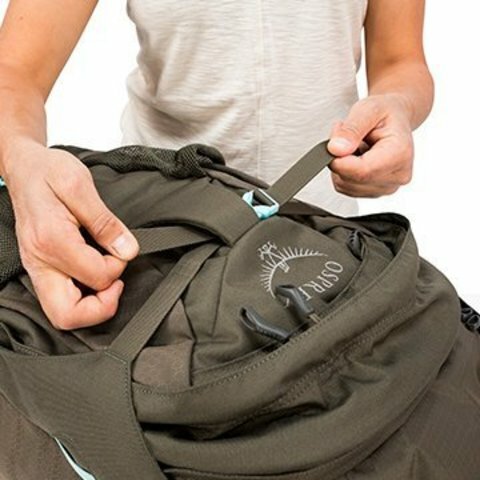 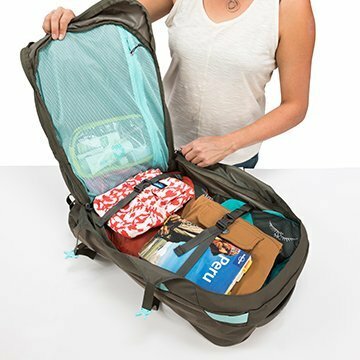 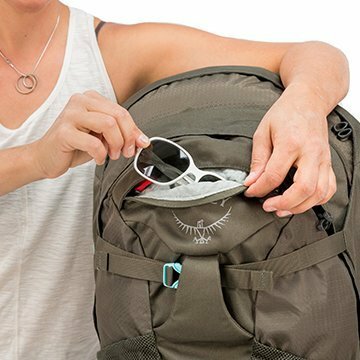 A large panel zip provides convenient access to the main compartment, lockable sliders keep your gear secure, dual front compression straps slim down your pack when you carry less, and a padded laptop/tablet sleeve keeps your electronics secure.